I bought the premium version thinking that you could share it over devices because it said in the premium description share over iOS devices NO YOU CANT! Everyone has to have the same Apple ID so that you can sync it! Who’s family shares the same Apple ID! It not worth it do not buy! Unless for yourself only. 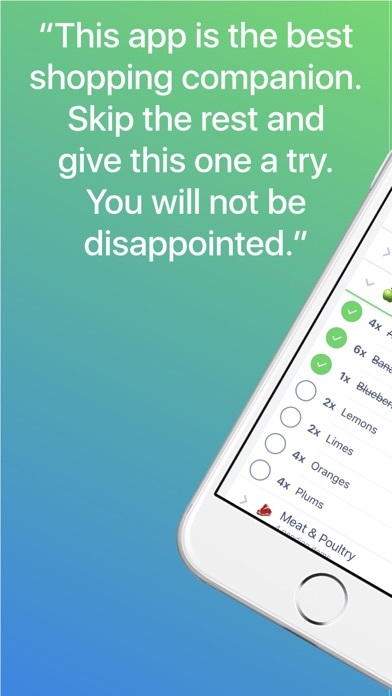 Honestly I wish I could use zero stars. Omg this is the best app to come into my life so organized and wow you can make your own I am in love! Very easy to use and gets the job done. Not user friendly have to think to much to use it. Should be as easy as writing a list. 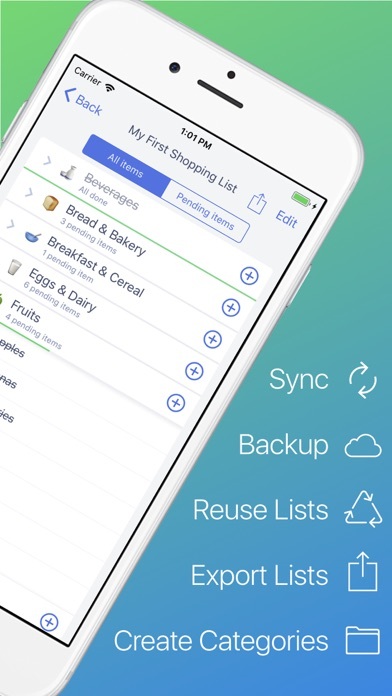 This app is simple to use and allows you to quickly create grocery lists. Best of all, the support from this developer is awesome. By Are you feeling better? Pretty simple to set up. The biggest problem is reordering the categories. What a pain. This needs work. Otherwise, I like it. I’d give it 5 stars if / when they fix that. Edit: Once you get the categories set everything works very well. It just takes time & can be frustrating getting it right. I like how I can create a list and modify the order of items within categories. 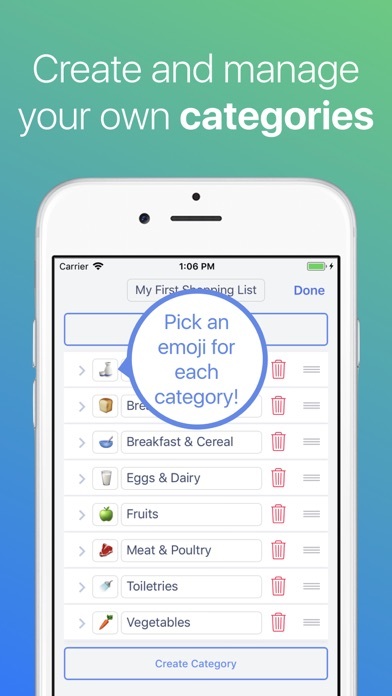 Even better is the flexibility to modify the order of categories to sync with how I walk through the grocery store. 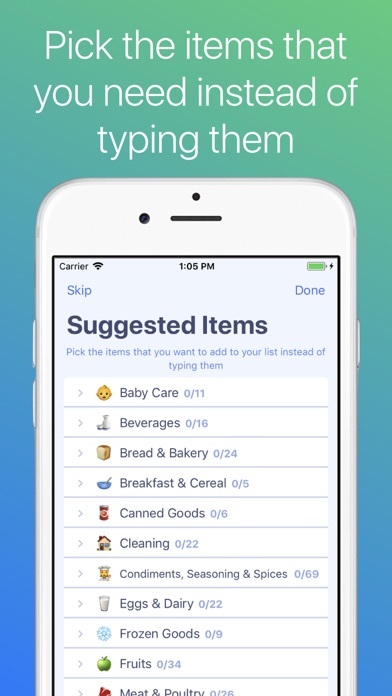 Modifying the order of items is a snap, but the process involved in changing the order of categories is not nearly as robust. Since this is a one time operation I didn’t feel compelled to ding the rating. 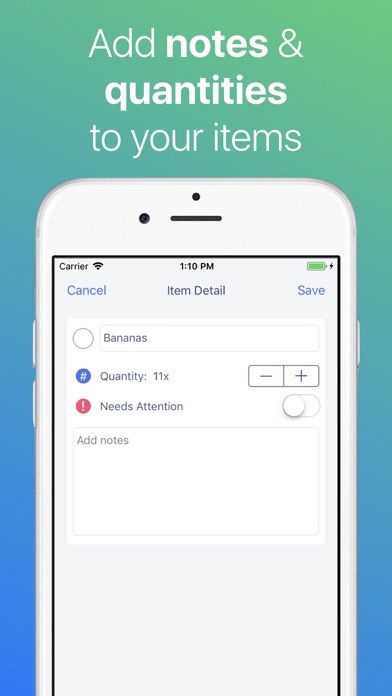 Adding items to categories and creating personal categories is easy breezy. I did have a problem getting the iPad and iPhone to sync initially. I had given up on syncing the two devises when the protocol offered by support - who by the way were very quick to respond (always appreciated) - did not solve the problem. However, after about two weeks the sync function mysteriously began to work. .